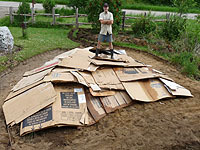 To create your new garden bed using the sheet mulching method, you must get : cardboard from furniture stores and ramial chipped wood (rcw) or wood chips from a pruners (tree services). 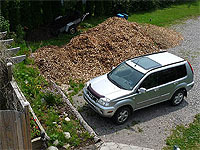 Also, you can add manure, compost and organic matter. For edging your bed, you can buy concrete blocks, pavers or logs. 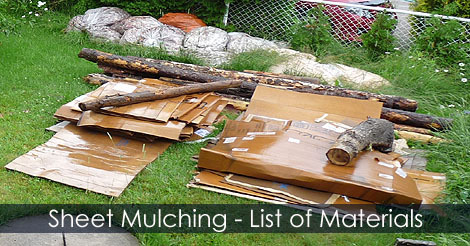 Read more about materials needed to sheet mulch your garden bed.